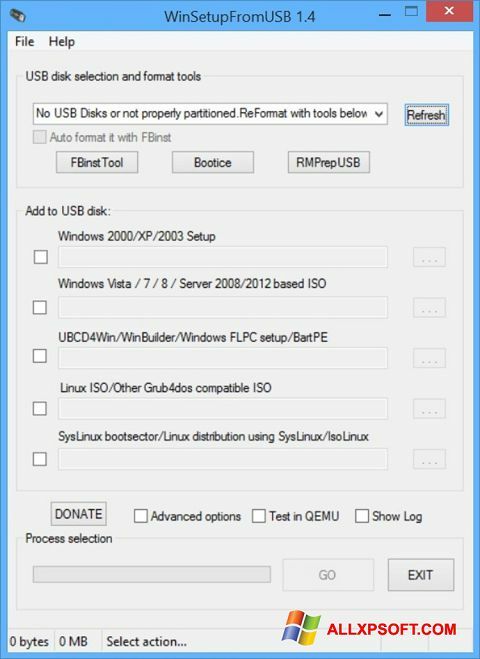 WinSetupFromUSB for Windows XP - a small program designed to quickly create an image and record the system on a memory stick or memory card. The utility can accommodate up to ten Windows distributions because it uses free disk space with maximum savings. Due to the additional functionality of the application, users can immediately test the result of the recording, without the need to restart the PC. Among its additional features should be noted the order of loading, collecting information about hard drives and setting the automatic timer in the menu. You can free download WinSetupFromUSB official latest version for Windows XP in English.